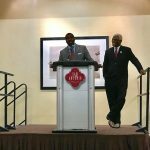 For SAAACAM’s first blog post, a summary of our activities during July 2018. 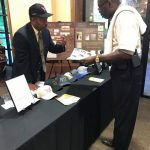 To receive regular updates about SAAACAM activities and events, be sure to sign up for our email newsletter, and follow us on Facebook and Twitter. 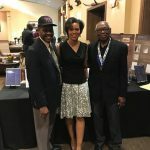 On Wednesday, July 11th, SAAACAM welcomed participants in the NAACP National Convention‘s Afro-Academic, Cultural, Technological and Scientific Olympics (ACT-SO) competition, a yearlong achievement program designed to recruit, stimulate, and encourage high academic and cultural achievement among African-American high school students. 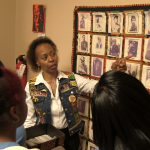 Students and their chaperones from Illinois and Louisiana chapters enjoyed a hearty soul food lunch at St Stephens Baptist Church, a historical overview of African Americans in San Antonio, and then visited the Buffalo Soldiers Memorial site and SAAACAM. 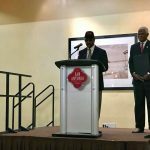 The group listened to presentations by Mr. Everett Fly, the Bexar County Buffalo Soldiers, Mr. Eugene Coleman, Dr. Charles Gentry, and members of the African American Quilt Circle of San Antonio. 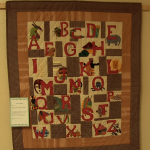 On Saturday, July 14th, SAAACAM displayed traditional and art style quilts in the Hope House meeting room and invited the community to learn more about the craft and history of quilting. 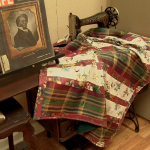 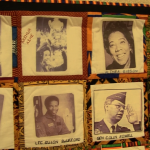 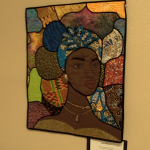 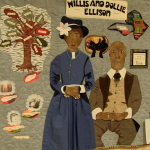 Click here to watch a video featuring Karen Hinton Robinson, President of the African American Quilt Circle of San Antonio, in which she discusses her interest in the craft and describes some of the quilts on display during the exhibition. 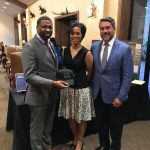 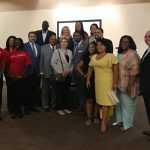 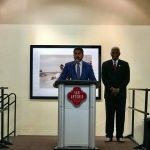 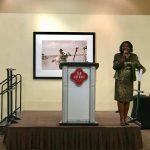 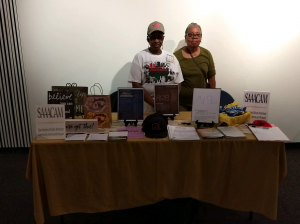 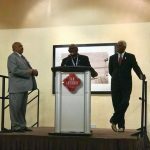 On July 14th, the first day of the NAACP 2018 National Convention, SAAACAM set up an information table in the the Henry B. Gonzales Convention Center to welcome members of the executive and planning committees to San Antonio. 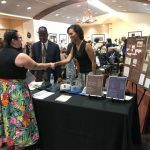 On Wednesday, July 18th, Friends of SAAACAM volunteers Susan Glosson and Charla Hutchens greeted K-12 teachers attending the Summer Institute for Educators at the Institute of Texan Cultures, to provide information about SAAACAM and discuss opportunities to connect with students during the upcoming school year.